Dr. Rajendra Singh is the Donald D. Glower Chair in Engineering, Mechanical & Aerospace Engineering at the Ohio State University. He earned his Ph.D. in mechanical engineering from Purdue in 1975 after obtaining a bachelor’s degree and master’s degree in engineering from the Birla Institute of Technology and Science and IIT Roorkee, respectively. Dr. Singh studied with Professor Werner Soedel in the Mechanics area of the School of Mechanical Engineering, where he completed his Ph.D. in less than three years while simultaneously working as a teaching assistant. While at Purdue he received the R.H. Kohr Research Award for his work in the area of dynamics, vibration and control. Dr. Singh’s first job post-graduation was as a Senior Acoustics and Dynamics Engineer at the Carrier Corporation, where he received several Cost Improvement awards during his four-year tenure there. While working at Carrier, he maintained contact with the academic world by teaching as an adjunct lecturer at Syracuse University. In 1979, Dr. Singh joined the Department of Mechanical & Aerospace Engineering at the Ohio State University, where he has remained since and advanced from Assistant Professor to Chaired Professor in the College of Engineering. Throughout his career, Dr. Singh has maintained a record of outstanding accomplishment in all areas of academic life. Dr. Singh’s research has been centered on the broad subjects of acoustics, vibration, non-linear dynamics, and signal processing, with the largest emphasis being on the analysis, design, and synthesis of automotive and mechanical transmission systems. Along with his colleague Dr. Don Houser, he is recognized as the world’s leading authority on the noise and vibration of gear trains. Dr. Singh has also performed groundbreaking work in the area of non-linear systems, particularly for engine mounts. In the course of his research career, Dr. Singh has received more than 15 million dollars in funding from a wide variety of industrial and governmental entities. He has published more than four hundred research articles, with half of them being in first-class archival journals such as the Journal of the Acoustical Society of America, the Journal of Sound and Vibration, and a variety of ASME and SAE journals. 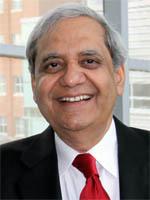 Dr. Singh has been the recipient of the Outstanding Educator Award from the Ohio Society of Professional Engineers, the OSU Harrison Faculty Award for Excellence in Engineering Education, seven Faculty Research Awards from OSU’s College of Engineering, the Institute of Noise Control Engineering Award for Excellence in Teaching, the ASEE Westinghouse Award for “Distinguished Contributions to Teaching,” and the Outstanding Distance Learning Faculty Award from General Motors.